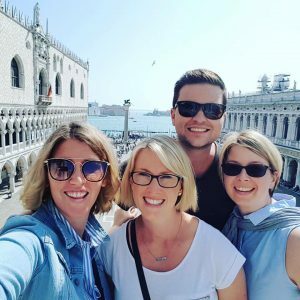 Earlier this month, 1-2 Educators from each of our centres were given the opportunity of a life time – travelling to Reggio Emilia, Italy to attend a study tour on the philosophy. 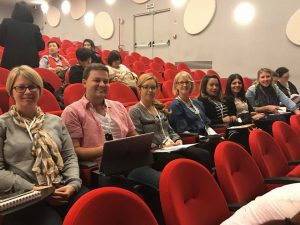 Once in Italy, the team explored the principals and practices of the Reggio Emilia approach with a large network of like-minded individuals. 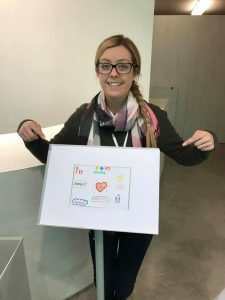 Our team explored multiple Reggio schools and early education services, engaging with Reggio Educators and attending talks and hands-on learning sessions. Each Educator got personally involved in many projects and participated in different learning experiences and approaches. Our team have kindly shared their personal reflections and learnings from the tour. The key takeaway learning for me in which I am continuing to unpack and explore is the concept of meaningful documentation, team collaboration, expectations of the children, the physical environment and our approach to a detailed curriculum. Throughout the tour I was lucky enough to spend time at a number of infant toddler centres and preschools. In these visits, we were able to observe the practice of re-launching with children. ‘Re-launching’ is the process of asking the child what they want to do, where they want to go and finding out how best the teacher can continue to extend an interest. 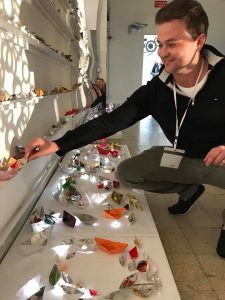 Collaboration – It was clear the educators and teachers in Reggio take the time to find ways to extend an interest by brainstorming, hypothesising and challenging each other to be the best teacher possible and to guide the learning to greater realms. 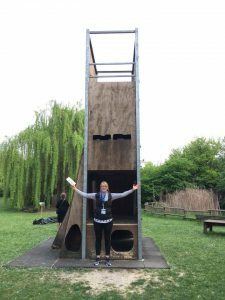 Upon entering all centres in Reggio, you were confronted with an enormous amount of meaningful documentation.. It ranged from displays on walls, on tables and other abstract places within the rooms and centres. At one centre I explored, the centre project was based around stair cases, yes stair cases! The atelier was filled with 3D sculptures, paintings, drawings and models of the centre stair case. The stair case had real meaning! It represented the flights the children climb, the structure that connects the children together. The children explored shadow, architecture and even numeracy! For example, on one platform of the stair case there was a light projector, projecting numbers on every step to encourage maths concepts. *Atelier – Municipal preschools of Reggio Emilia possess a space called the Atelier. The Atelier is a place where children can experiment and create with many different types of media and resources. The Atelier promotes exploration, experimentation and self-expression. It allows for mistakes, plans, evolution of ideas and collaboration with peers – providing children with valuable life skills. *Atelierista – An Atelierista is an Early Education teacher with an arts background. They are responsible for creating projects and introducing new concepts to the children to spark their inquiring mind, their creativity and to develop a new explorative way of learning. 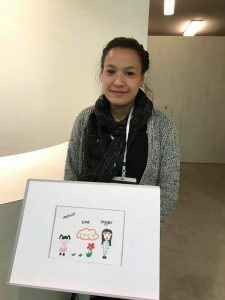 The trust the Reggio Emilia teachers had for the children in their care – Everyone was equal and possessed equal ability to contribute to a program. The respect these teachers and children had for their learning environments and resources – This respect was clear because the learning environments were so well presented and thought through. The teachers were incredibly passionate about each learning opportunity. The documentation process – The Educators consistently forward planned with all teachers and children. The documentation of project work was also always clear and visible in each room, with detailed documentation of how a project began and then evolved. How much time the Reggio Educators utilised – This included the time they gave the children, the time they took to research, investigate and reflect with each other and the children. The return of ‘structure’ in daily programs – Structure was used to help the children to learn, achieve and be social with themselves and their peers. The emphasis on children being ‘citizens of the present’ – The Educators believed that children should be involved in the now and not the future. The value of children as intelligent, competent learners – Educators need to take the time to observe where children will take their learning, whilst also getting personally involved in the investigations with the children. Here, Educators can intervene immediately to teach and guide the children without waiting until the next day or planning a later lesson. We really need to BE with the children – To be attentive, intuitive and mindful of every child. We need to slow down, investigate further and think outside the standard realm of understanding. We must equally value the individuality of the student and the teacher – This includes appreciating the wealth of knowledge we as Educator’s bring to the class room. We must remain authentic and holistic in our approach to teaching. We need to showcase all documentation – And accept that it’s about the content rather than the quality. The study tour sparked a joy and eagerness to discover new ways and opportunities to learn with both my team and the children. I have come home inspired to be really connected and invested in what we do as Educators. 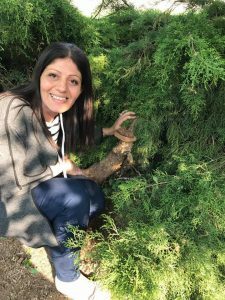 My time in Italy exploring Reggio Emilia was a lifetime experience that I will continue to embrace in my every day practices. Being surrounded by so many passionate people allowed me to reflect on my teaching styles and how I can improve the simplest things I do each day. The use of small learning groups – After morning meetings, children were separated into small groups to participate in meaningful learning experiences and project work. These small groups were so much more than a functional tool – they provided culture, vitality and and endless network of possibilities. Importantly, small group work empowered each individual child and allowed them to be more involved in meaningful learning opportunities. 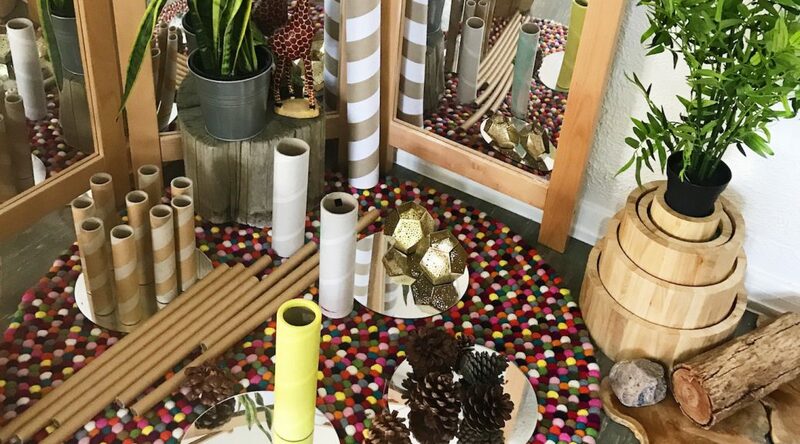 The benefits of having an Atelier space – The services in Reggio always had an Atelier space – allowing children the opportunity to learn a diverse range of topics and skills and providing them the opportunity to express themselves through many different materials and languages. At Maidstone Explorers, we are so eager and enthusiastic to involve the children to be part of creating Atelier spaces in our centre. Since being back, I have involved a small group of children in discussions regarding the creation of our own Atelier. We have brainstormed what an Atelier is and what we would need to create one in our centre. This included the children sketching ideas of what they thought the Atelier would look like. 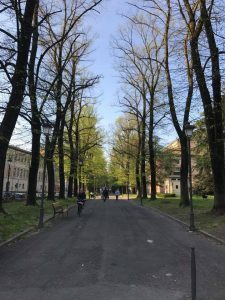 There are multiple things I think should be reflected on and considered as a result of our experiences in Reggio Emilia. 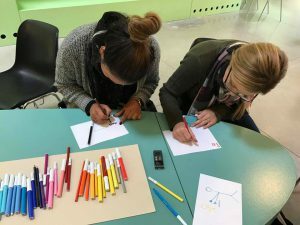 Community involvement in children’s projects – The children explored the city of Reggio Emilia as part of their learning. They regularly went out into the community, with a large number of projects being linked to things around the city. The children are seen as citizens of the community from birth and their voice is heard and prevalent. In Reggio, there was a culture surrounding the community’s responsibility to educate. I believe this needs to be unpacked and used in the Australian context. The voice of the teacher – It is so important teachers offer their experiences and consider the intent behind their teaching. 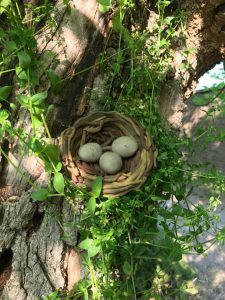 Whilst it is ok for the learning experience to change based on a child’s interest, my experiences in Reggio reminded me that the intent behind our teaching must always remain evident. Additionally, critical, collaborative reflection was an important part of the Reggio teaching process and something that should be built on within our centres to extend on our programming ideas. The child as a competent, capable individual –Throughout infant toddler centres, preschools and schools it was very inspiring to watch the children learn through wonder and enquiry within beautifully set up environments and with a variety of materials, meaningfully handpicked for each learning opportunity. The respect for environments and resources – Both children and teachers had inspiring levels of respect for their surroundings. The teacher as ‘researcher’ – Teacher’s forward planned, setting clear intents and hypotheses prior to implementing learning opportunities for children. The value of time and quality relationships – These values were extremely predominant and has helped me reflect on this in my own service. Project Work – Project work was very well executed in all environments. Learning was always visible, including each child’s interpretation. The intended direction of the project was always evident as was the child’s role as an active protagonist of each learning process.